These wheels complete the perfect polish of your stone. 5/8" rounded bevel. The Raimondi Bulldog Polishing Wheels are the third and final step of the polishing process. NOTE: GRANITE may need additional polishing between Step 2 and Step 3 with a 200 grit Diamond Pad. 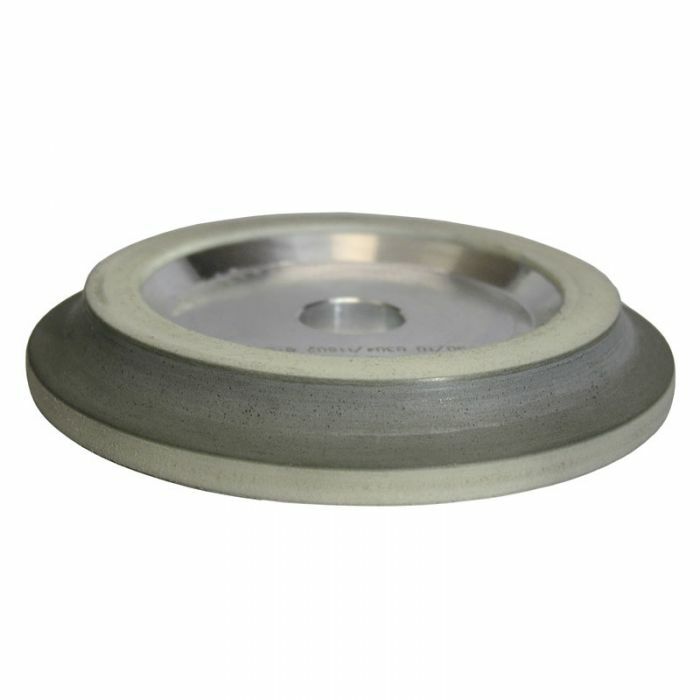 These Polishing Wheels have differing grits for polishing different materials. If you're polishing porcelain, 90% of all full-body porcelain can be polished completely using the 400 grit polishing wheel. The other 10% may also require the use of the 800 grit polishing wheel. If you're polishing lighter colored stone you will need the 400 grit, 800 grit, and possibly the 1500 grit polishing wheels. For darker colored stone it may be necessary to use the 1800 grit, and 3500 grit polishing wheels.